John Yeates and Martha Jessop Barlow: John was a polygamist and Martha was his fourth wife (of five). They lived in Highland (#33 on the 1958 Highland map - interactive, larger) for a short while, circa 1930 - 35, and in 1930 two of their children died in Highland - John Willis at age two and Martha, a newborn. John was born March 4, 1874, in Panaca, Nevada, one of twelve children of Israel and Hannah Yeates Barlow, and in the 1880 census his family (parents and seven children) made up the total population of Antelope Island in the Great Salt Lake. He grew up in Davis County and served a mission to the Northwestern States from August, 1895, to November, 1897, under President Melvin J. Ballard. He was sent home early for his advocacy of polygamy in his teaching. On December 16, 1897, he married Ida May Critchlow (b. 9/3/1875), and they had three children: Ida Mae, Eleanor Pamela, and John Carner. In the 1900 census they were living in Wellington, Utah where Ida died July 19, 1901. On September 24, 1902, he married Susannah Stevens Taggart (4/23/1880 – 11/17/1972), and although they never had children, she outlived the other wives and mothered their children. On February 28, 1918, he married Ada Marriott (7/22/1898 – 10/31/1931), and they had six children: Naoma, Ruth, Suzannah Mariott, Leona, Alice, and Laverne. When he registered for the WWI draft in 1918 his residence was Ogden, Utah but he was shown serving as a minister for the Church of Jesus Christ of Latter-day Saints in the Northwestern States mission. Somewhere along the way, after 1919, he was excommunicated by the Church. On September 10, 1923, he married Martha Jessop (9/24/1900 – 10/22/1944), and they had seven children: Louis Jessop, Juanita, Joseph Israel, John Willis, Martha, Mildred, and Truman Ianthus. He married Esther Johnson Holm (8/17/1921 – 2/20/2000), apparently in April, 1943. John was a member of the Council of Friends, a polygamist group begun by Lorin C. Woolley, who claimed to have been ordained by Church President John Taylor to perpetuate polygamy even if the Church abandoned it. Woolley died in 1934 and his successor died six months later, leaving the leadership to John Barlow. In 1935 they chose Short Creek, Arizona as their place of refuge and moved there. By 1944 they had multiplied to about 2500 and on July 26, 1953, were raided by State and Federal authorities and twenty-four of their numbers were sent to prison. Polygamists (FLDS) still occupy that area, now called Hildale, Utah and Colorado City, Arizona - the names being changed to escape the stigma from the earlier raids. 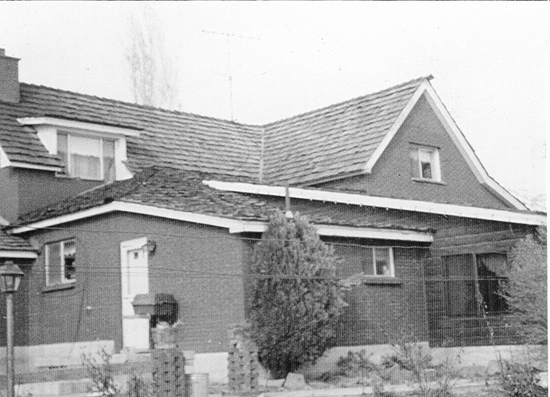 John led the Short Creek community until he died December 29, 1949, in Salt Lake City (the group was later led by Warren Jeffs). He and his first three wives are buried in the Bountiful Memorial Park in Bountiful, Utah. Wives four and five are buried in the Isaac W. Carling Memorial Park in Colorado City, Arizona.